The ugly building on the left, which stood for 59 years on Peel street, just parallel to the soon-to-be gone Planetarium, was destroyed a few years ago to make way for a huge condo complex of several buildings. 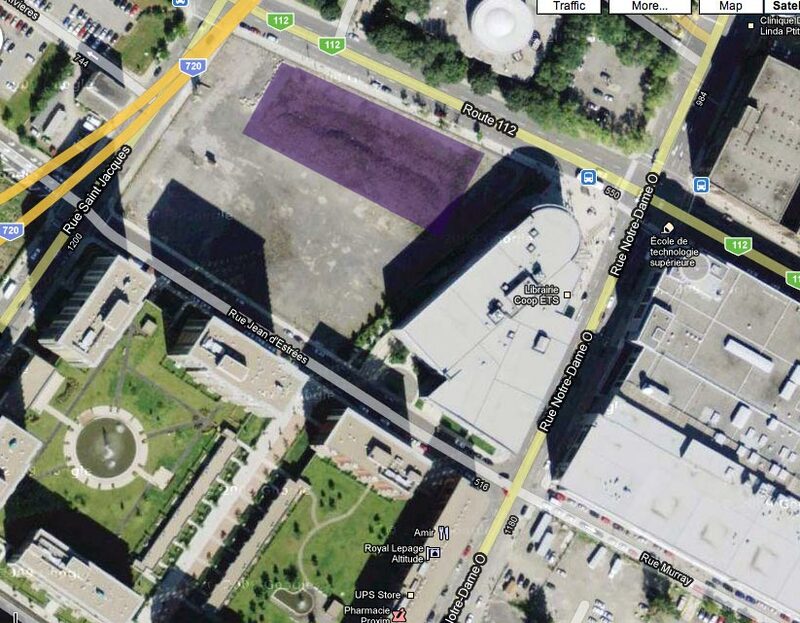 The land where the Bonanventure building stood is still vacant but the land behind it is where the construction took place. Also, the ETS school built an adjacent complex on the same bit of land. It's odd that they destroyed the building but only built around it, leaving a big empty space where it once stood. 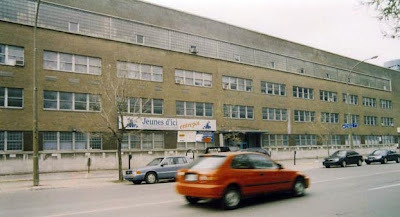 I actually went inside that building and it's no big loss but it was there for so long that it was part of the Montreal landscape, in spite of itself. 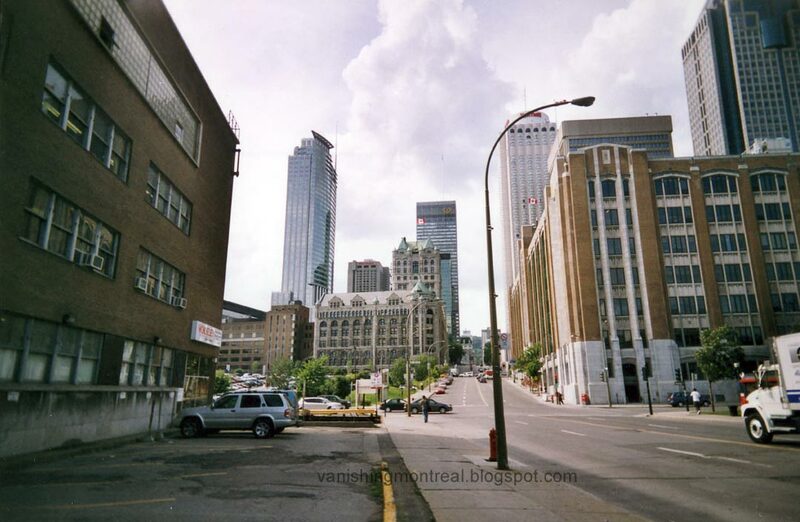 I took the first photo a year or so before it was leveled. This Google Maps image shows where the building used to stand (I highlighted in purple). To the South: the condo complex; east: the ETS building; and north; the doomed Planetarium. The huge piece of land has been empty for many years which makes you wonder why they tore it down.